Paul G. Harris (ed. 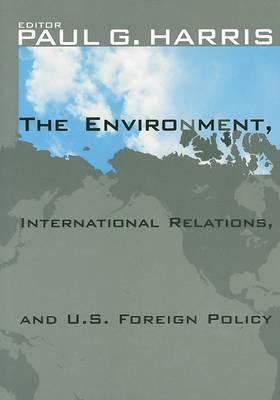 ), The Environment, International Relations and U.S. Foreign Policy (Georgetown University Press, 2001). It is now commonly acknowledged that humans are subjecting the global environment to potentially overwhelming stresses. The United States, as the world’s largest polluter and greatest consumer of natural resources, has had a greater impact on the environment than any other country. The United States is therefore an essential participant in international efforts to address adverse changes to Earth’s natural environment. The Environment, International Relations, and U.S. Foreign Policy is the first book dedicated to examining many of the most important aspects of environmental change as they relate to U.S. foreign policy. Researched and written by an international group of scholars under the auspices of the Project on Environmental Change and Foreign Policy, this book is an innovative and sometimes provocative work that is accessible to scholars and laypersons interested in environmental change, American foreign policy and international relations. Broken into three broad areas – national security and geopolitics, domestic and international politics, and national interests and international obligations – the book examines a host of important issues, including environmental and energy security, ozone depletion and climate change, biodiversity and the whale hunting, and trade and the environment. It also explores moral issues associated with environmental change and America’s obligations to humanity. The book is important reading for policy makers, students and activists around the world.